For most people in our industry, acoustics are something that just don’t get enough publicity. Who can blame us? This is dry, boring stuff right? Nobody wants to talk about sound reflection and absorption when there is the next new flashy object to rant over. Maybe it’s a high-tech DSP algorithm that promises to digitally cancel out unwanted sounds. Perhaps there’s a new line array speaker that can cut through a crowd without missing the hot dog vendor across the street. Ok – bad example, but my point is that people absolutely love the flash, and that is what gets all the attention. Whatever that “new” thing is, you have to realize that there are fundamental laws of physics that just can’t be forced into submission. Any time you digitally manipulate something, you are giving away a bit of its personality. There is also only so much you can do with processing a bad signal. Garbage in, garbage out is the mantra in the recording industry and I think it really applies to us AV Pros as well. Simply put, you will NEVER get as good a result if you try to manipulate the signal after it is too late. Ok, so where am I going with this? Let’s start with the fundamentals. 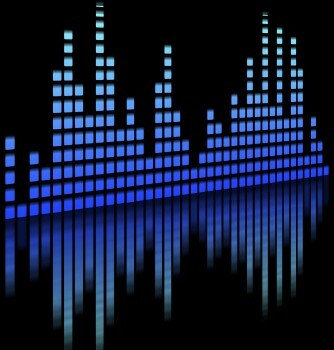 Sound waves interact with everything around them. Think of a rubber ball in a room with concrete walls and floor. The ball will bounce off of every surface. If you have a bunch of balls getting thrown around at once, there will be chaos as balls will be going in every direction making it hard to follow the path of any one ball. Now lets change the analogy. Put a few of people in this same room, and get them talking at the same time. You will have a hard time hearing what people are saying as the sound waves bounce off all the hard surfaces, just like the rubber balls. This concept is called reflection, and has a large part to play with speech inteligibility in a room. The more hard surfaces you have, the harder it will be to understand conversations in the room, and this directly translates to your microphone/speaker system as well. To extend our example a bit further, pack the room with people, but have the same number of talkers. With the added people in the room, the extra bodies will help absorb some of the sound, getting rid of a lot of the reflections. This will make speech intelligibility better, but will also force the people talking to speak a bit louder to be heard. The same effect would happen if you put carpet on the walls and/or floor. How does this relate to AV Systems? One of the key factors of an AV system is speech inteligibility. Simply put, if people hear more reflections (echo) than they do direct sound, it will be hard to understand spoken words. This directly applies to using a microphone to pick up the speech for recording, amplification, or conferencing applications. To quote wikipedia, critical distance (often abbreviated as Dc in calculations) is “the distance at which the sound pressure level of the direct and the reverberant sound fields are equal when dealing with a directional source.” Simply put, this is the point where direct sound from the talker is the same level as the reflection of their voice off the walls/floor/etc. An article supplied by Shure suggests that for an omnidirectional microphone, you should be no further than 30% of Dc to ensure good inteligibilty. For Uniderectional microphones, this can be increased to 50% of Dc, since the directional aspect of the microphone will reject “off-axis” reflections from behind it. There is also a way you can approximate this using a sound level meter and a tape measure – it will be different for every space. 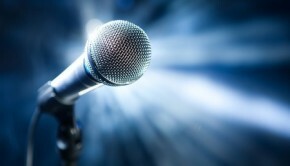 Check out http://shure.custhelp.com/app/answers/detail/a_id/82 for more details on this. If your microphone needs to be placed farther than the recommended critical distance percentage, you need to consider adding more sound absorbing material in the room to eliminate some of the reflections. The exact science between all these elements is hard to simplify and I really feel that true acoustical design is something best left for engineers specializing in the field. My purpose in going so far in detail was to give you a taste of what sort of key concepts are involved in getting a room sounding good. Having been introduced to some of these concepts will help give a better perspective on acoustics. Do you have other rules of thumb for critical distance and microphone placement? Maybe an example of a particularly bad sounding room? If so, I would love to hear about it – please leave a comment below for discussion. Great article, more of us need to take this seriously. Many AV Contractors have systems installed that perform poorly due to acoustical issues in the room and they receive the blame. That is where we come in. Good AV design requires the combination of acoustical and electrical engineering. RE: Dead Room – We are accustomed to hearing a certain amount of echo in a room so when it is not there is feels “weird”. It is like listening to your favorite song but one of the background instruments isn’t there (i.e. keyboard or bass guitar).